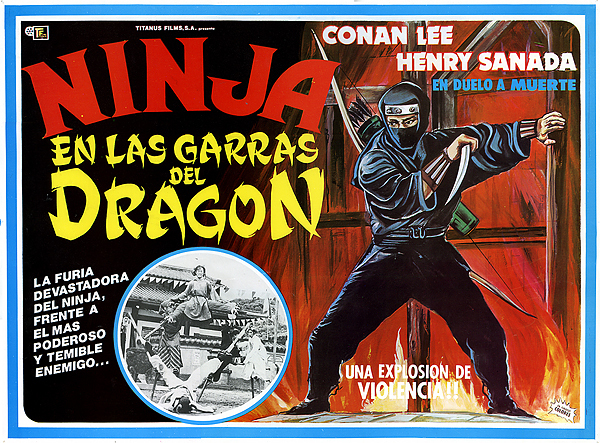 It never really breached the Times Square grindhouse and werewolf circuits here in the States, but the Hong Kong / Japanese co-production Ninja in the Dragon Den was certainly an international hit. Here’s some totally original painted artwork from the Mexican release. 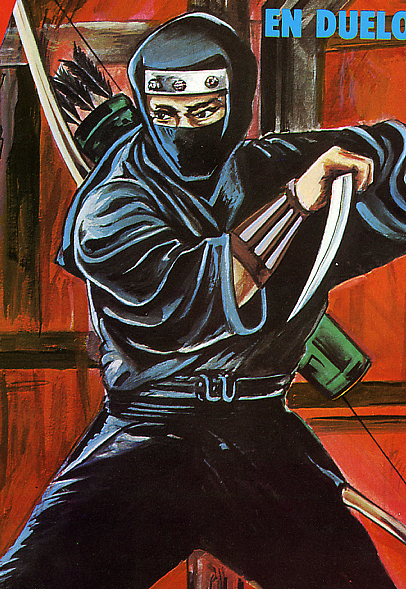 Most international ad campaigns for the film centered on either of the two matinee idols involved – Henry Sanada and Conan Lee, and where their names didn’t mean as much, it was photos of Sanada’s superb ninja costuming that carried the ads. But in Mexico, they often opted for totally original art.